This is the remarkable story of our little boy Evan, and his life with catastrophic epilepsy, and the surgical procedure hemispherectomy that saved his life. 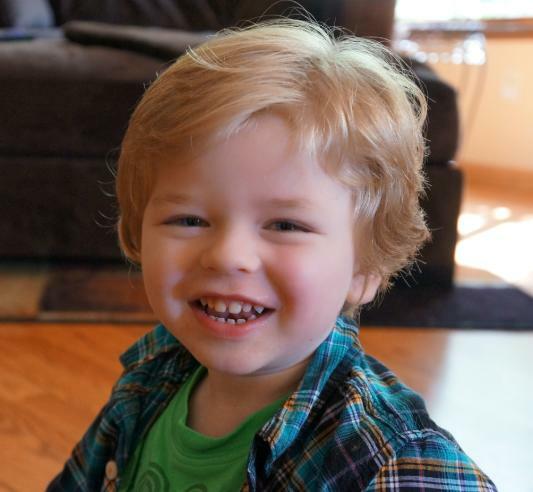 When Evan turned three months old, he was diagnosed with infantile spasms, a rare and catastrophic seizure disorder that can do so much damage very quickly, often causing him hundreds of seizures per day. After many failed medications over a few months, and much frustration and uncertainty for Evan's future, Evan began to lose what little development he had and was rapidly slipping away from us. We made our way to Los Angeles to Mattel Children's Hospital UCLA from our home in Oregon where we happened to meet neurosurgeon Dr. Gary Mathern who specializes in the radical surgery hemispherectomy. This is the removal of half the brain. Evan was a prime candidate, and this was our only chance to save him. Surgery was quickly scheduled, and in an eleven hour procedure, doctors successfully removed the left half of his brain. Evan was ten months old. Immediately, Evan started to do things for the first time ever shorty after surgery, and what we thought might not ever be possible. The results were incredible! Evan is now making excellent progress, and continues to develop nicely despite have the left half of his brain removed. He remains seizure free since the morning we took him in for surgery. Please visit Evan's website, www.evanstauff.com, to learn more about him. Evan continues to inspire and help provide hope for others who face intractable epilepsy and hemispherectomy surgery.